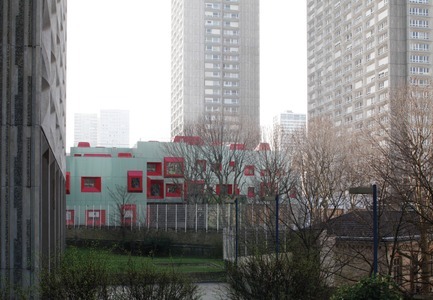 Paris, France, 22-05-2012 - In the Olympiades quarter, the reconstructed kindergarten stands out like a gleaming toy amidst the neighbouring towers and blocks. 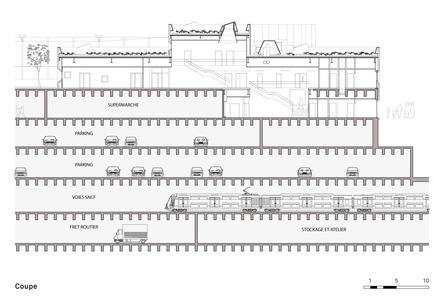 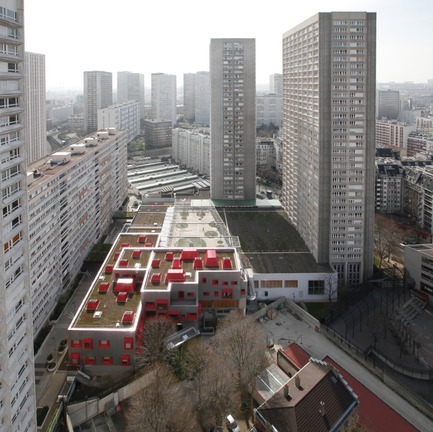 It is part of the re-evaluation of a dense, functional and mixed urban planning project built in the 1960s and 70s. 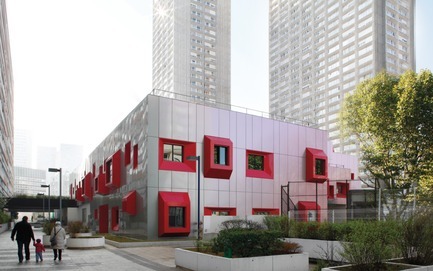 In this very lively district, the City of Paris is implementing a project involving property consolidations and redescriptions of exterior spaces. 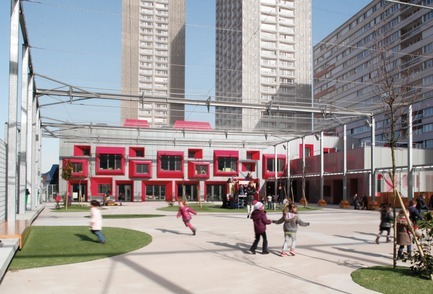 The school, dwarfed by the surrounding towers, will play its role in this context, by enhancing the image of a public amenity and countering the overwhelming presence of the surrounding buildings and the omnipresence of concrete. 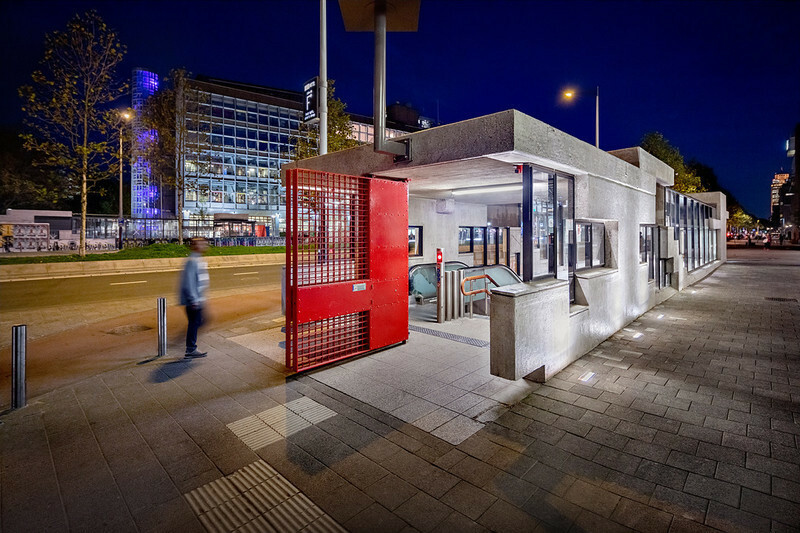 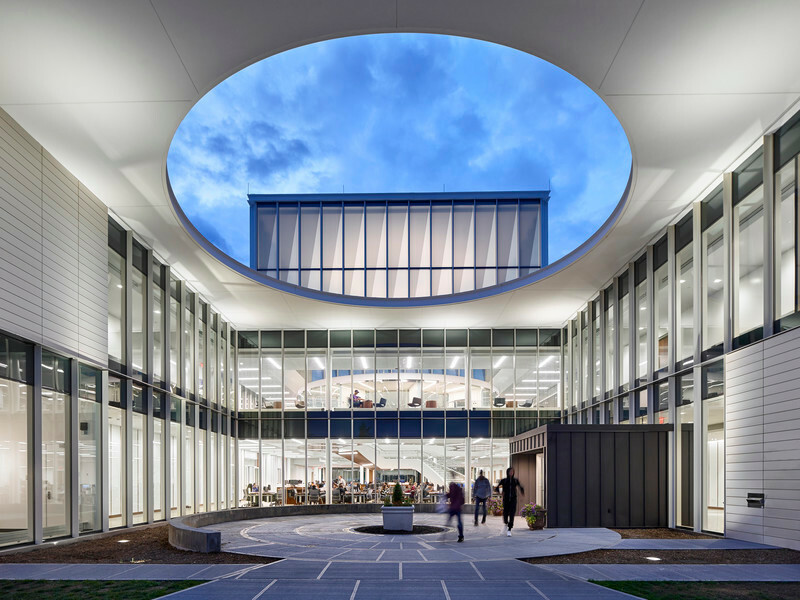 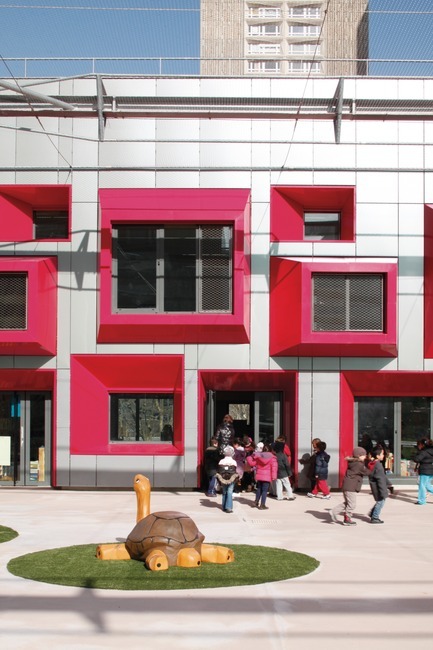 It’s a sophisticated toy: it was necessary to fill in a swimming pool, move a bowling alley, pierce floors and create openings, to enlarge the school downwards through the concrete slab and give it a street-level entrance. 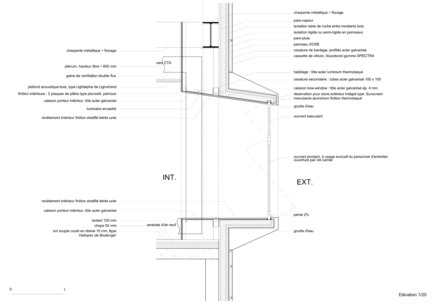 In short, an extension by excavation. 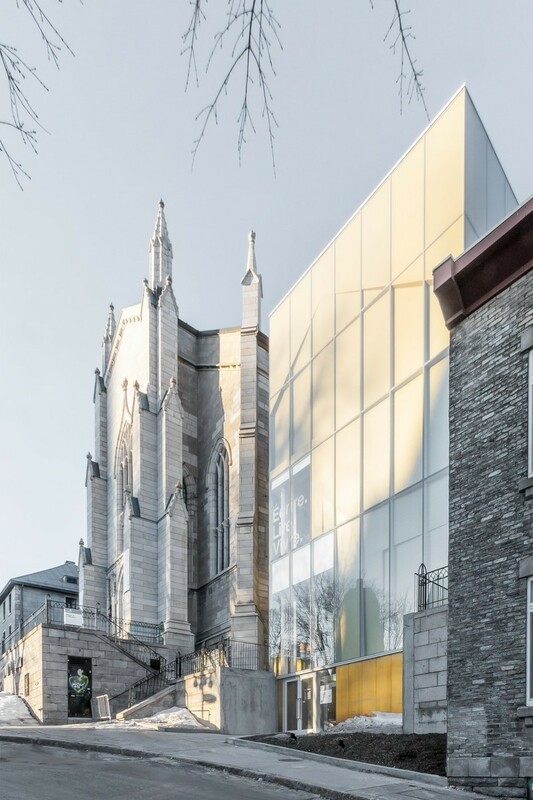 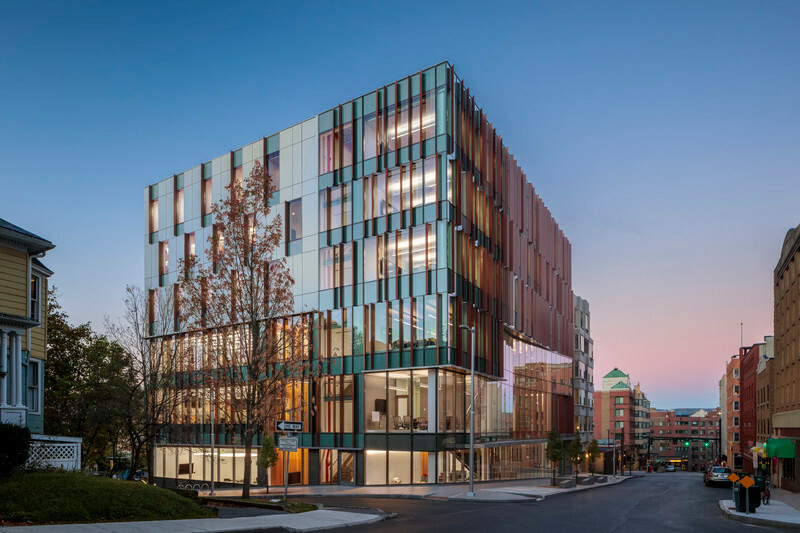 The building’s envelope is a response to several environmental aims: visual protection, increased natural light to counteract the surrounding solar screens, no thermal bridges, natural ventilation and double flux in winter. 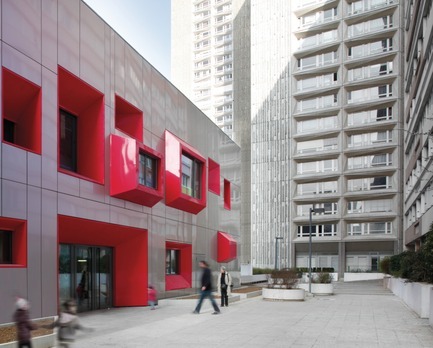 This school is the first to comply with the City of Paris’s climate plan. 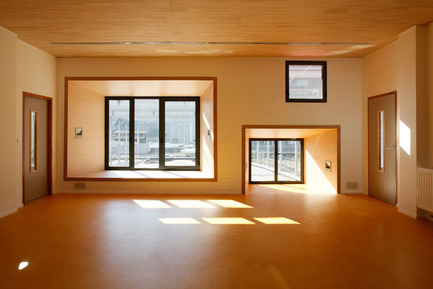 The result is a thick façade with varied reliefs – bay, alcove, and concave windows – which are used horizontally on the roof as skylights and to house air treatment machinery and ventilation chimneys. 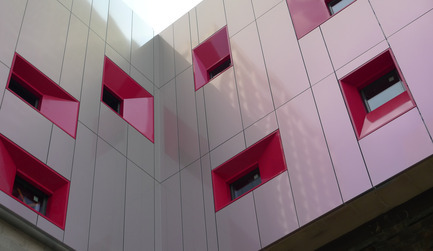 These multi-form strawberry-coloured elements enliven and dematerialise the façades. 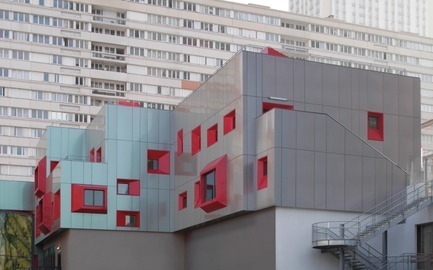 Their anodized aluminium cladding changes from pink to golden grey to green depending on one’s movements, point de view, the colour of the sky and reflections of nearby buildings. 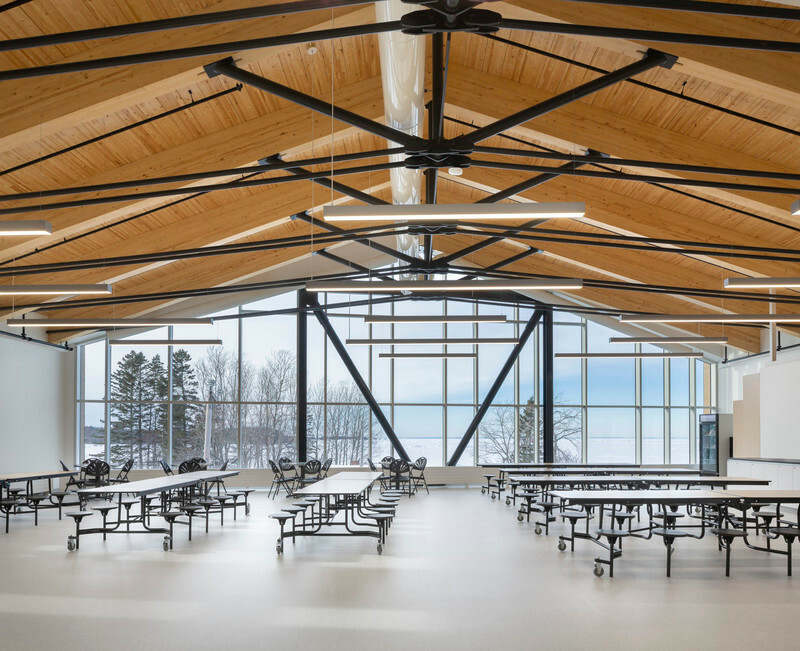 The atmosphere inside the school is gentle and serene. 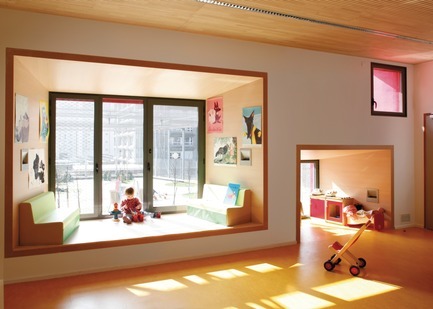 The only colours are those of the materials themselves, such as the wood of the false ceilings and the bay windows. 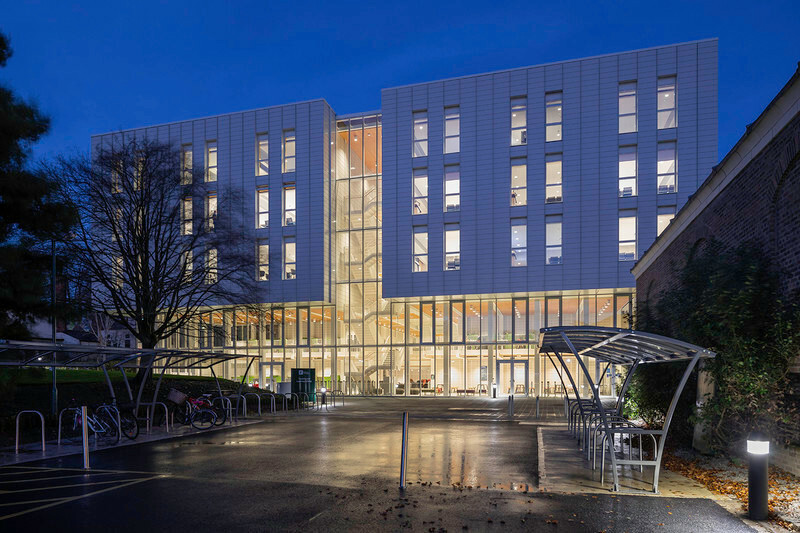 The façade’s thickness creates a strong sense of protection and minimises outlook from neighbouring towers. 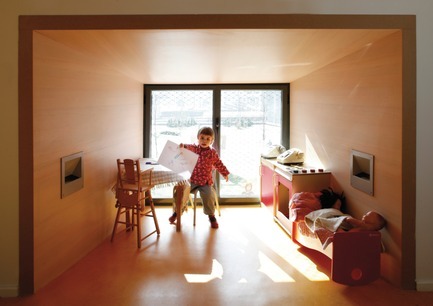 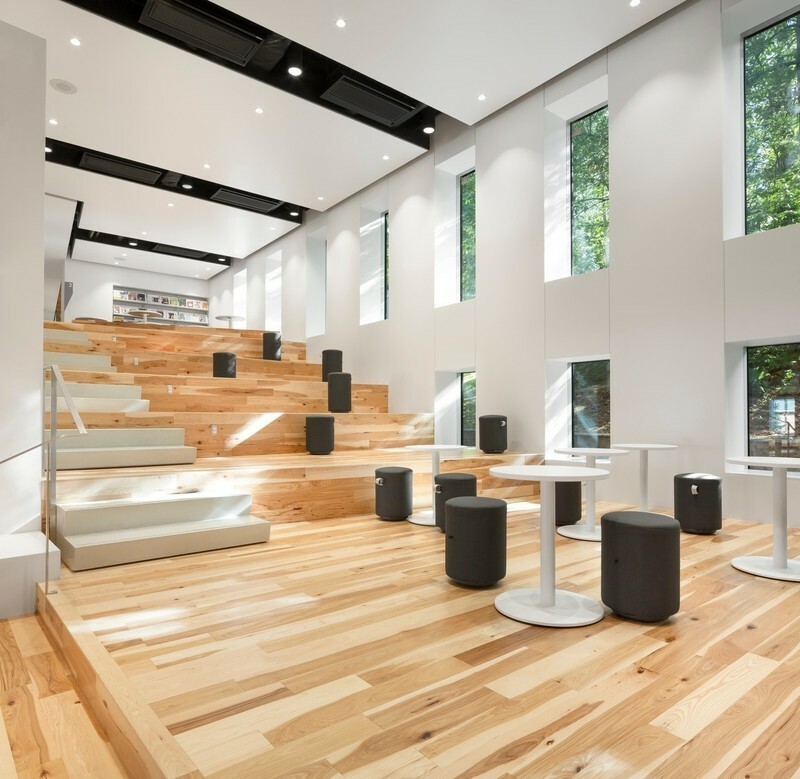 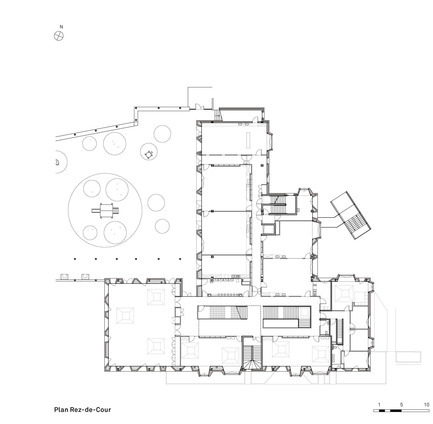 The children enjoy taking over the micro-spaces generated by the façade’s thickness, using them as mini-living rooms, for reading, tea parties, hiding, etc.